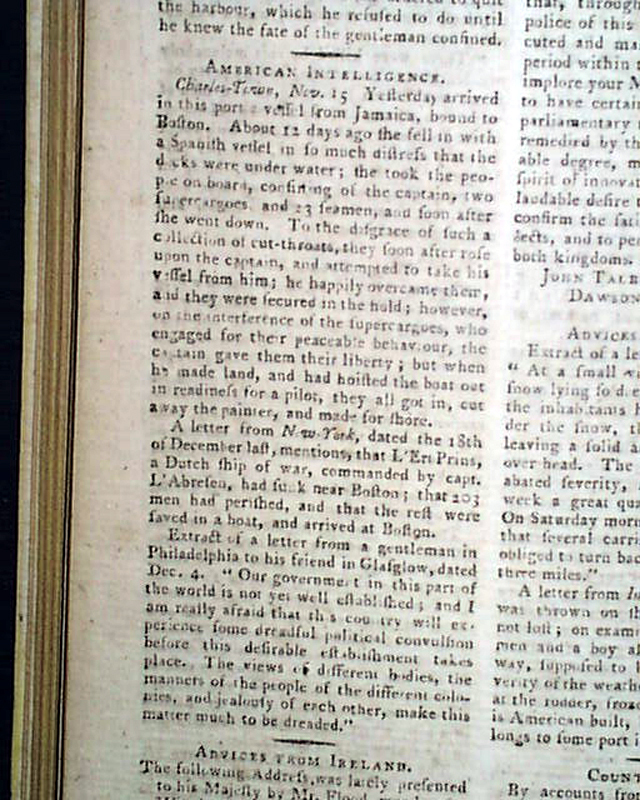 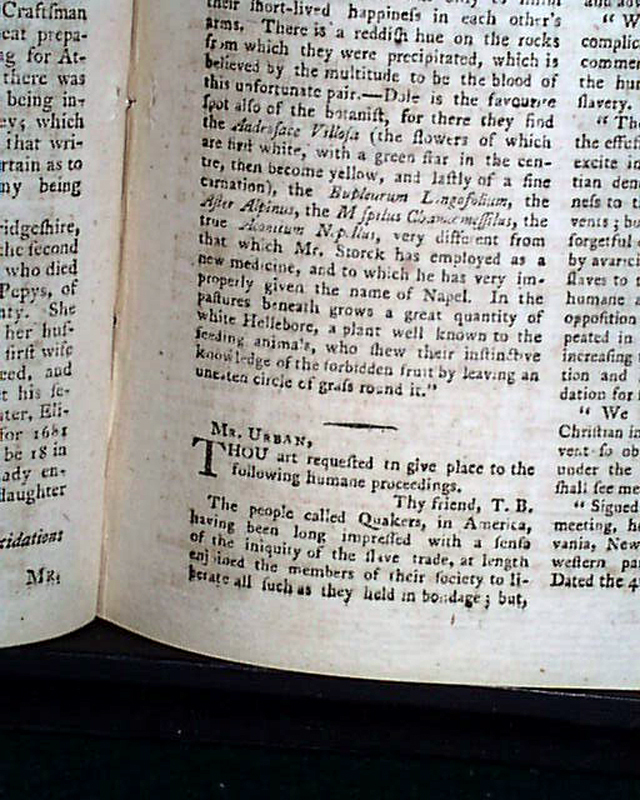 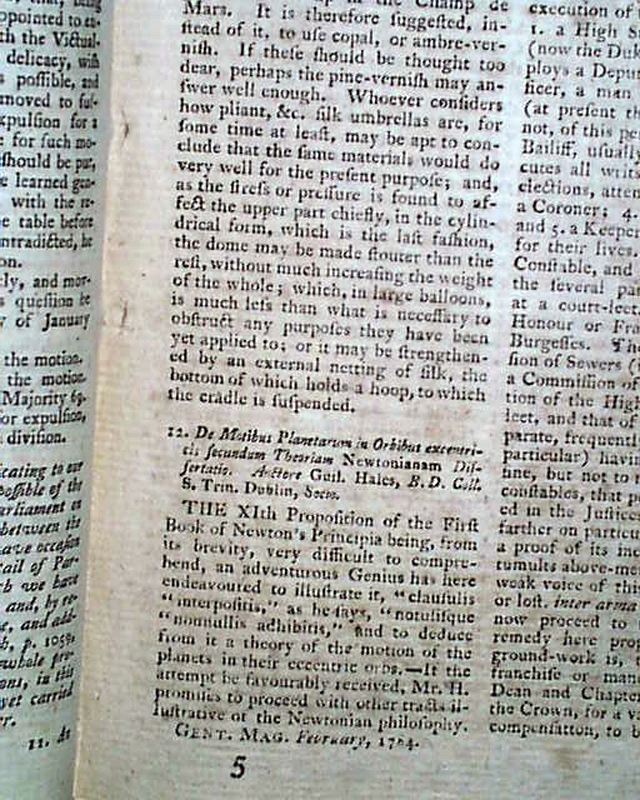 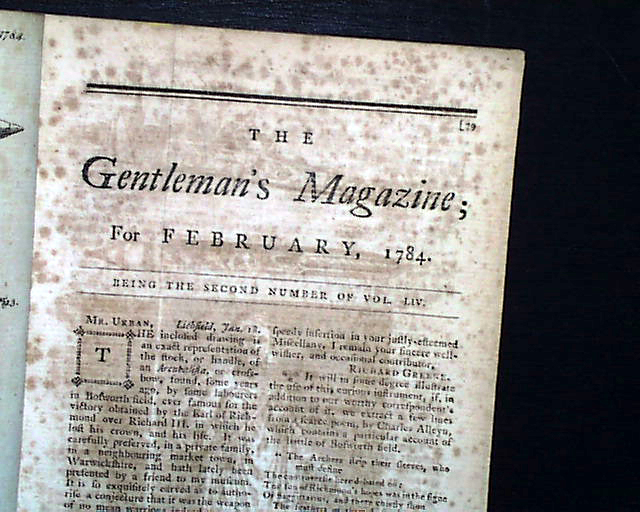 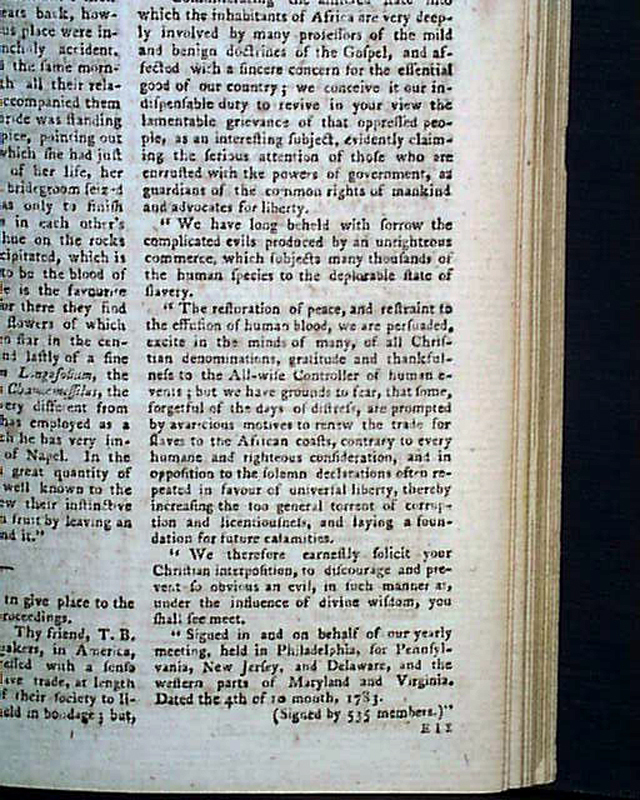 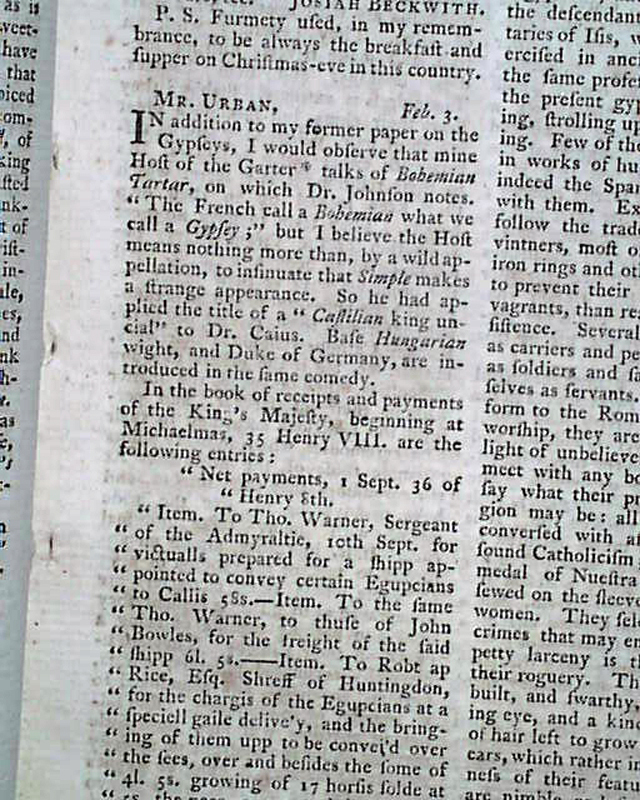 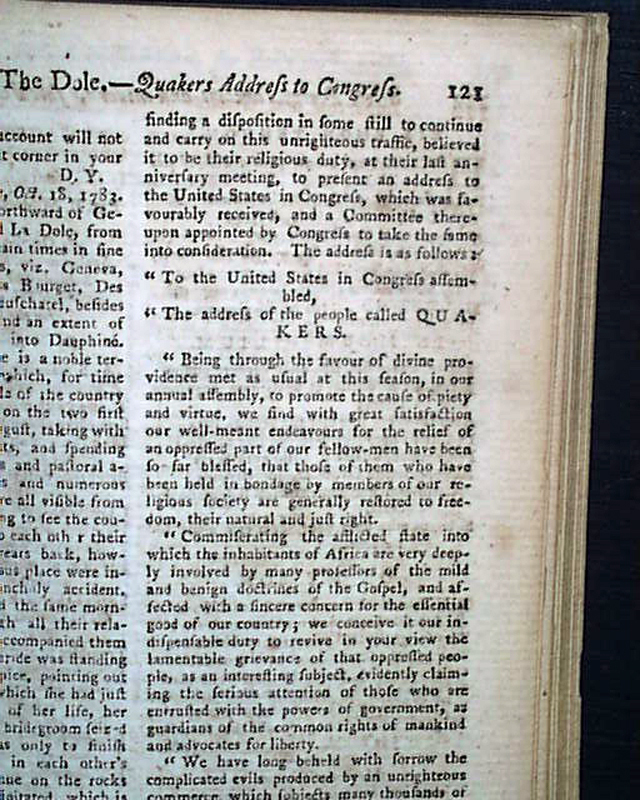 There is over half a page on the Quakers' address to Congress on their concern for the slave trade (see), and also half a column on: "American Intelligence" which includes a letter noting: "...Our government in this part of the world is not yet well established, and I am really afraid that this country will experience some dreadful political convulsions before this desirable establishment takes place..." (see). 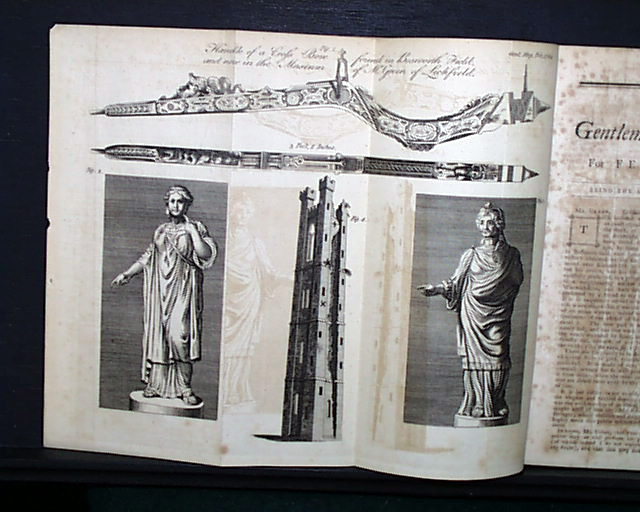 Both plates called for are present, one of which is a foldout. 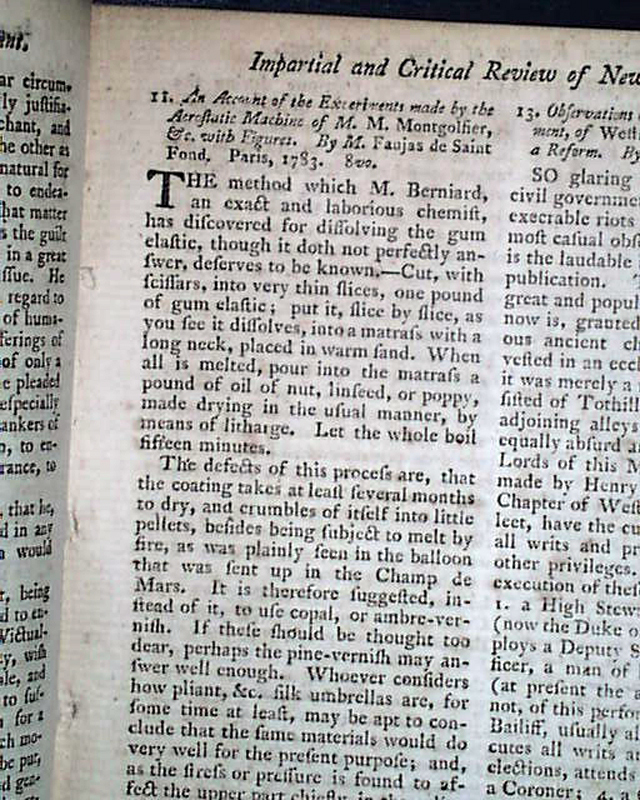 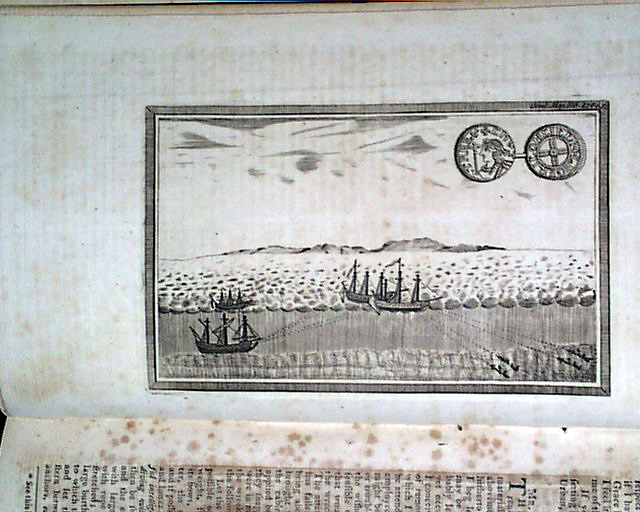 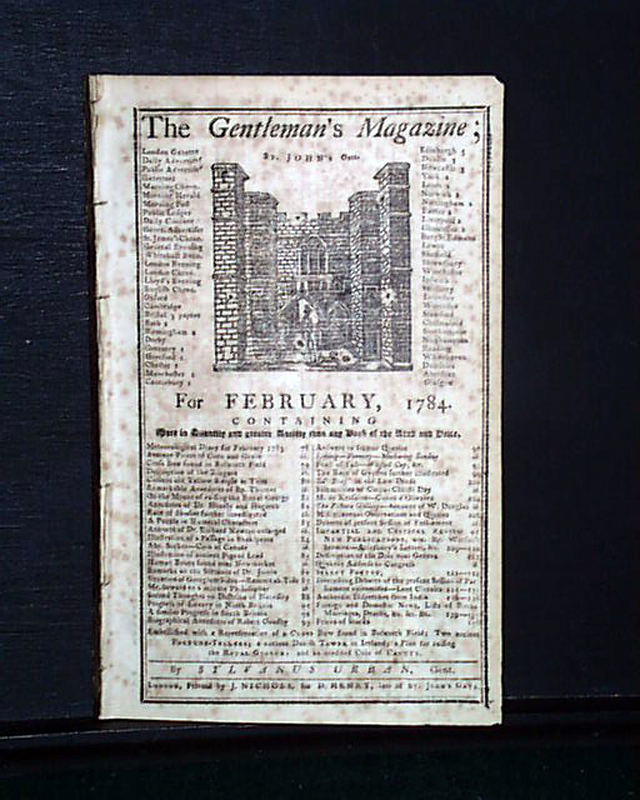 Complete in 80 pages, 5 1/4 by 8 1/4 inches, with a full title/contents page featuring an engraving of St. John's Gate, very lite scattered foxing, otherwise in nice condition.